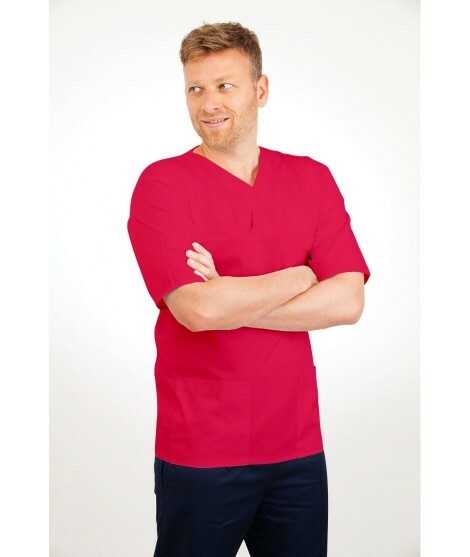 A subtle variation on our best selling V-neck uniform, this round neck tunic is another fitted and stylish garment made from our special durable and tested polyester cotton blend (65%-35%) material. The scrub top has six panels for additional comfort and design, with two side pockets and side vents hidden amongst the detail. Available to purchase in sizes from 6 to 22 (XS – XXL), white is the most popular colour choice followed by a range of blues and greens. The T04 is always in stock and can be delivered directly to your doorstep – usually the very next day.